What is intellectual property? As the title to this article itself implies, the subject concerns properties of the mind or of the intellect, i.e. the various forms of creations and inventions of man. Various intellectual properties are recognised by law and these include trademarks, designs, patents and copyright. Trademarks, for instance, protect the names, signs and labels used by persons in trade and by companies for their respective products and services. Designs, on the other hand, are intended as a means of protecting the novel features and shapes of products while patents protect inventions, such as new industrial, technological or mechanical apparatus and processes or new pharmaceuticals. Copyright is the protection that is given by the law to those persons who create any of a specific set of works which are eligible for protection by copyright, such as artistic, literary and musical works. This article discusses the subject of copyright, namely what this intellectual property actually consists of, the way copyright is treated by law, some requirements for copyright to come into existence and various examples of works which are eligible at law for copyright protection. The protection of works by copyright in Malta is regulated by the Copyright Act (the ‘Act’) which is found in Chapter 415 of our laws. Copyright legislation in Malta saw its last major revision in August 2000 in order to bring Maltese law in line with the directives on copyright of the European Union, most notably in respect of the protection which should be given by the EU member states to computer programs, databases, satellite broadcasting and cable retransmission, rental and lending rights in copyright and the term of protection of copyright. The Copyright Act was also revised as a result of Malta’s obligations subsequent to signing the World Trade Organisation (WTO) Agreement in 1995 which incorporated the Agreement on Trade-Related Aspects of Intellectual Property Rights, Including Trade in Counterfeit Goods (the “TRIPs” Agreement). What makes copyright a powerful tool to industry is the international protection that it gives to its owner in respect of the work which is protected. Copyright is protected internationally thanks to certain international conventions which have been concluded over the years by the international community. For instance, Malta is party to the Berne Convention for the Protection of Literary and Artistic Works (as revised), which originally dates back to September 9, 1886 (which Convention operates under the auspices of WIPO – the World Intellectual Property Organisation). A more recent international instrument of great importance to copyright is the TRIPs Agreement of 1995. A number of different works are eligible for copyright protection, namely: (1) artistic works, (2) audiovisual works or films, (3) databases, (4) literary works and (5) musical works. Taking artistic, literary and musical works as an example, these would automatically qualify for copyright protection as long as they have an original character and are written down, recorded, fixed or otherwise reduced to material form. Some examples of the protected works would be paintings, drawings, photographs and works of sculpture which are all considered to be artistic works by the Copyright Act. Other examples of works include novels, stories, encyclopedias and dictionaries, letters, reports and memoranda which are different types of literary works. Computer programs and software are also types of works which are eligible for protection by means of copyright since they are considered by the Copyright Act as literary works as well. Copyright is protected in Malta by virtue of certain provisions found under the Copyright Act. Thus, copyright protection is afforded by the Act over any of the works mentioned above as long as the author of the work is a citizen or is domiciled or is permanently resident in Malta or in a State in which copyright is protected by an international agreement to which Malta is also a party, for instance: the Berne Convention or the TRIPs Agreement. The same principle applies for companies and bodies of persons recognised by law where copyright protection is afforded in respect of such entities where these are constituted, established, registered and vested with legal personality under the laws of Malta or of a State in which copyright is protected under an international agreement to which Malta is also a party. In addition, copyright protection is also afforded by reference to the country where the work is made or first published. Thus, a work is protected in Malta if it is made or first published in Malta or in a State in which such works are protected under an international agreement to which Malta is also a party. Generally speaking, it is important to realise that that the period of protection of copyright in Malta is of 70 years post mortem auctoris, i.e. this 70 year period of protection of copyright starts to run after the end of the year in which the author dies and this is irrespective of the date when the work is lawfully made available to the public. 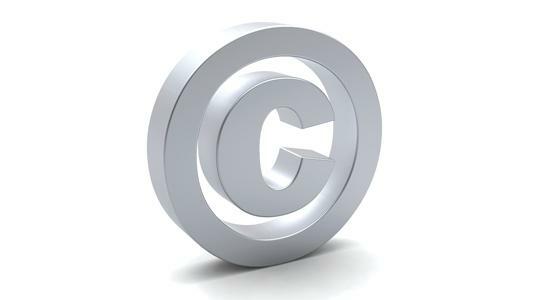 More information about copyright protection in Malta will be released in the second part of this article. The Business Software Alliance (BSA) represents a number of software vendors such as Microsoft, Autodesk, Adobe, Apple and Cisco and is considered as the world’s foremost association in the software industry combating piracy through education, enforcement and partnerships with governments and other copyright / trademark holders. BSA is currently working in collaboration with software vendors in Malta to combat piracy and to educate consumers and companies. It is responsible for running various risk awareness campaigns which focus on creating awareness on the importance of genuine software particularly within businesses; to educate on the risks associated with companies in order to avoid copyright infringement and to help businesses to ensure that they are using fully licensed software. Dr Camilleri is a lawyer at MAMO TCV Advocates.